Congressman Dave Loebsack today called on companies in Indiana, or businesses who were looking to move to Indiana, to take a look at basing their companies in Iowa. 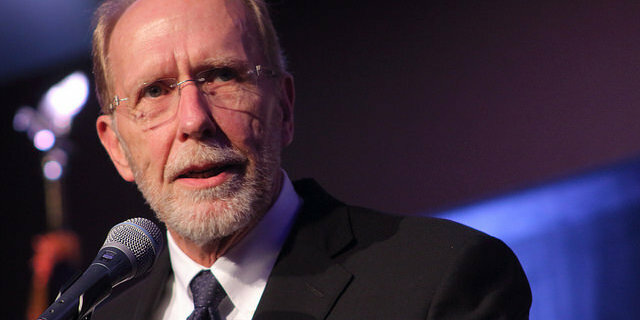 Loebsack noted Iowa’s history of leading the fight for increased civil rights, whether it is based on race, gender or sexual orientation. Nearly six years ago, Iowa became the third state in the nation to grant marriage equality for everyone and has prohibited discrimination on the basis of sexual orientation and gender identity in employment, housing and education since 2007. Regardless, some damage has already been done. Last week, Salesforce CEO Marc Benioff announced that the company would no longer hold events in Indiana due to the law. Angie’s List, based in Indianapolis, announced that it will no longer move forward on a $40 million Indiana headquarters expansion. Apple CEO Tim Cook, meanwhile, blasted the law in a letter published Sunday by the Washington Post. Entertainers have decided to forego the Hoosier state as well, with Wilco’s Jeff Tweedy announcing today that the band has canceled its May 7 show in Indianapolis. We are canceling our May 7 show at the Murat in Indianapolis. The “Indiana Religious Freedom Restoration Act” feels like thinly disguised legal discrimination to us. Hope to get back to the Hoosier State someday soon, when this odious measure is repealed. Refunds available at point of purchase.